Ever heard of this place in Maldives? The world’s best hotel, according to Tripadvisor, is home to the only chocolate cave in the Maldives. It’s not all chocolate that is available in the cave. A huge collection of 600 varieties of wines from 30 regions are greatly enjoyed by the tourists. Cheese lovers would love this place too -- some of the finest cheeses from Swiss to Holland or New Zealand are ready to go with your favourite wine. All the chocolates in the cave are home-made. You can’t get this elsewhere -- this may be one good reason to visit Gili Lankanfushi in the Maldives. Regular wine tasting and wine dinners take place in the cave, accompanied by the resort’s sommelier. Enriching your wine knowledge and wine selection techniques are great to learn from the sommelier. 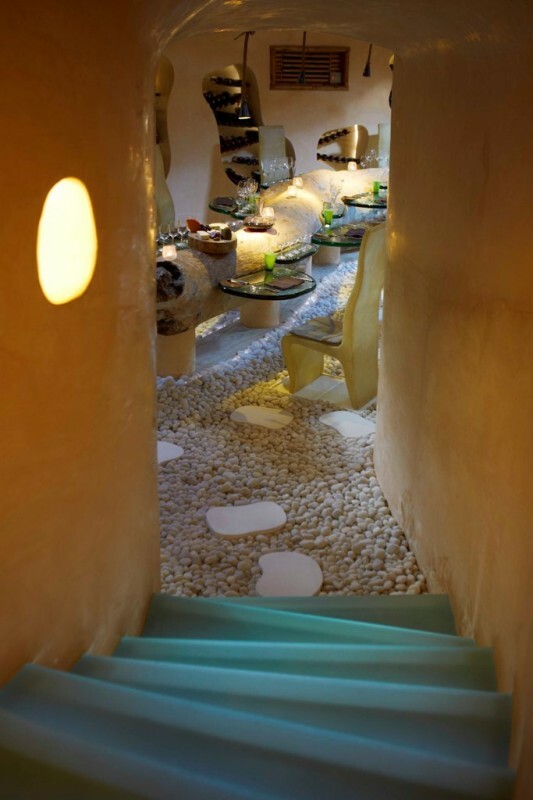 If you are visiting Gili Lankanfushi don’t forget this “chocolate, cheese and wine cave”. The underground cave is a pleasing atmosphere to try new tastes. The architecture and interior design is simple but elegant and luxurious. Fineness and careful detail in everything gives you a great experience, perfect memories to take home.